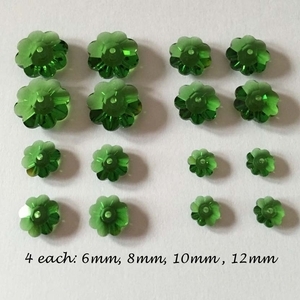 Swarovski 3700 Margarita Fern Green, for 2 pairs of Christmas Tree Earrings. 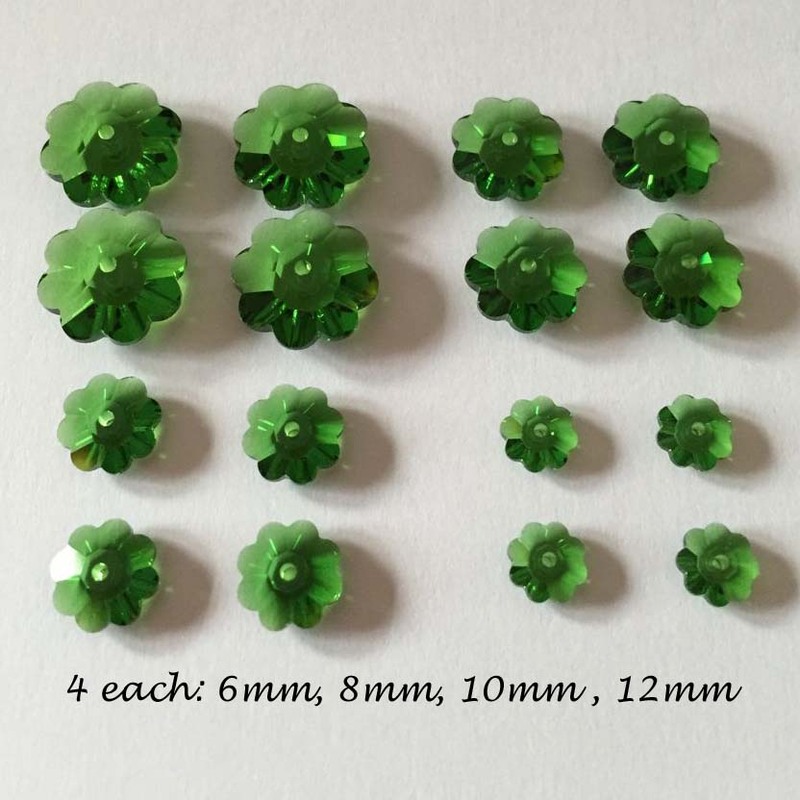 4 sets of Swarovski Ferm colored Margarita Crystal, 4 of each size, 6mm, 8mm, 10mm and 12mm. Included, but not depicted, are four 3mm light siam bicones.